Bonjour! 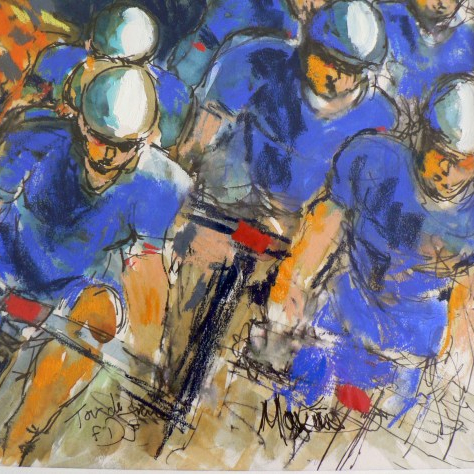 Breaking with the routine a bit – This piece is inspired by the French rider Julian Alaphilippe who put in a storming performance on Stage 10. Left everyone behind! This image is mixed media – combining watercolour, ink with pen, brush and twig – as well as a little gouache. It’s drying at the moment, so see what you think….